Two exciting guitarists. Music you’ll never forget. 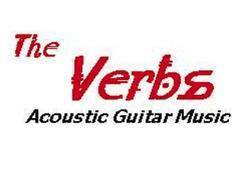 This is The Verbs, an instrumental-only duo made up of Bob Borgmann and Chuck Swanson. Bob and Chuck are two of Cincinnati’s more experienced guitarists, players that bring a wide range of influences to The Verbs’ music. The Verbs use both acoustic steel and nylon string guitars, and plays a compelling combination of styles, including fingerstyle (Chet Atkins/Tommy Emmanuel/James Taylor), blues (Eric Clapton/Allman Brothers), jazz (Gershwin/Porter), “oldies” (Johnny Rivers, Santos and Johnny), pop (Beatles/Michelle Branch/Steely Dan), bossa nova (Jobim), and even classical when appropriate. No vocals, all guitars, with arrangements designed to draw the listener in- lots of dynamics, imaginative musical thinking and execution. The Verbs play every first Friday of the month and are always one of the most highly anticipated performers to play at Dilly. Click here to check out a The Verbs rendition of ‘Layla’.